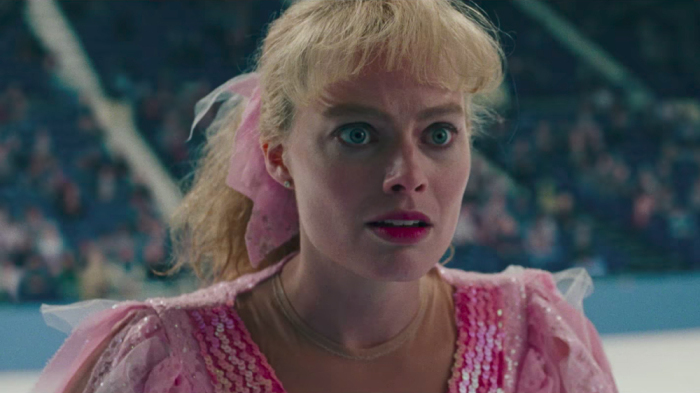 I, Tonya – Film Review by Frank L.
The opening credits include the following “Based on irony free, wildly contradictory, totally true interviews with Tonya Harding and Jeff Gillooly.” The events surrounding the participation of Tonya Harding (Margot Robbie) in the 1994 Winter Olympics in Lillehammer Figure Skating Championships was a matter of considerable notoriety at the time. Jeff Gillooly (Sebastian Stan) was Tonya’s estranged husband. She describes herself in the film as being poor without an education but from approximately four years of age she could skate. Her parents’ relationship was fraught and her Dad left the family home when she was a kid. Her mother is one La Vona Golden, played by Alison Janney as a magnificent ogre and a first rate horror of a mother. La Vona was determined to push Tonya’s ability to skate to the nth degree and worked as a waitress to pay for Tonya’s lessons. Tonya’s skating nemesis was one Nancy Kerrigan and Jeff had an idea to ensure that Tonya made the American team for Lillehammer. He enlisted the support of an old pal, one Shawn Eckhardt (Paul Walter Hauser), whose incompetence is hard to credit. The whole larger than life collection of characters with the most unlikely story then rolls along to its unreal denouemant. For Tonya the way out of the swamp into which she was born was ice skating. The authorities who ruled ice skating disdained Tonya’s background and the film portrays them as self- important, prejudiced and partial time servers. Margot Robbie gives a magnificent performance as Tonya and fully justifies her nomination for best actress in the Oscars. However, the most memorable performance is that of Alison Janney as La Vona. It is a tour de force and she has so many great but apalling lines it is impossible not to be in awe of the perfromance. Sebastian Stan as the not-overly bright Jeff Gillooly does not disappoint. Paul Walter Hauser as Shawn is the most unlikely character of the film. Hauser looks remarkably like Shawn in real life and from the contemporaneous newsclips has him to a T. The main characters are all wounded in different ways and fate brings them together in this outlandish tale. Craig Gillespie is an Australian and maybe it takes an Australian mind to reveal the surreal worlds of ice skating and ballroom dancing. Think Baz Luhrman and “Strictly Ballroom” 1992. I, Tonya is a highly entertaining film which manages to create a great deal of humour out of what is an unlovely set of circumstances including mindless violence. How close it is to the truth is a matter for debate but it is a movie of high quality with two outstanding performances from Alison Janney and Margot Robbie. It is not to be missed.